Q: I'm a bride or groom. So, I get free admission. Do I have to go to the Box Office? A: YES. Everyone, including brides and grooms, must go to the box office to receive a ticket stub for entry into the show. Q: Why should I pre-register for the show? A: Pre-registered couples will get a free ticket using code GWS! Only pre-registered couples will be eligible to win the Vendor Attendance Prizes. A: Click the link above to be redirected to the registration page. 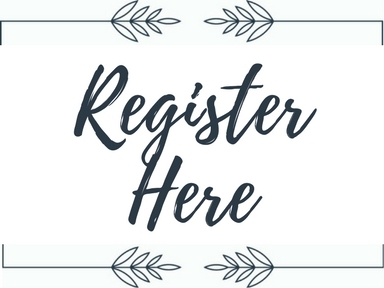 Pre-Registration is currently open for the January Gateway Wedding Show! Q: Where should I go when I arrive to Gateway Center? A: Go to the exterior Box Office. Please have your pre-registration ticket ready for the box office. If you have not pre-registered, the cost is $7 per person at the door, and they will receive a Paid Admission Ticket. You will then be able to walk into the building and enter line for Check-In. Q: Where is the Box Office? A: The box offices are located directly outside the main entrances in the front of the Gateway Center. Q: What if I cannot find my confirmation email? A: You can email or call us at 618.345.8998. Or the Box Office can check our Pre-Registered Brides List. Q: What is the cost of regular admission? A: Regular admission is $5.00+ service fees online or $7.00 at the door on show day. Q: Are children allowed? What is the cost for children? A: Yes. Children 10 and Under receive Free Admission. A: The August 18, 2019 Gateway Wedding Show is from 1:00pm until 4:30pm. The show has an open house feel but, the first 200 engaged couples to enter the show recieve a Swag Bag! Q: What will the show feature? A: The August Gateway Wedding Show features a Signature Cocktail Lounge, 100+ Area Vendors, Food Samplings, Dessert Samplings, Groom's Cake Decorating Contest, the 10th Annual Cake Dive with 5 Grand Prizes (including a free honeymoon)....and so much more! Pre-Registered engaged couples will receive free admission with coupon code GWS & entry for a chance to win a vendor's attendance prize! Regular Admission is $5.00+ Service Fees Online and $7.00 at the door. Children 10 and Under receive Free Admission. PLEASE NOTE: You will be taken to a third-party ticketing link for Pre-Registration of the Gateway Wedding Show.